The Bible is clear that God wants us to give back to Him a portion of what He has entrusted us with. and in a recurring manner that benefits you spiritually and the church financially. Online banking with your bank makes giving a tithe a priority! 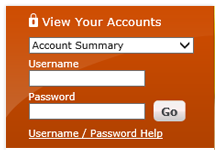 Step #1: Sign up for secure online banking with your own bank. Most banks offer this free of charge and it comes with most types of accounts. Secure online banking with your bank is identity-theft safe with no middle man and no extra fees for you or for the church. Step #2: Go to the “Bill Pay” section of online banking and add NBCC as a “payee.” You will need to know the church address (see below). Note: You do not need a “payee account number” because NBCC tracks this for you. Step #3: You can then either manually send your tithe to the church or you can set up an automatic recurring payment once NBCC is a “payee” in the free bill pay service. 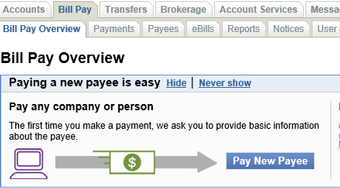 We recommend automatic recurring payments after a date you know your paycheck is posted to the account. Your tithe becomes a for sure expenditure. An automatic payment based on your income allows you to ensure you keep on track with giving and tithing. Automatic recurring payments puts God’s money as a priority in your life and your tithe never gets lost in the shuffle. Note: If you would like anything designated in your offering, just note that in the “memo” section of your payment like you would on a check. You can be sure that the bank will do their job and send your payment to the church just like it would for any other bill you use this way. Please make giving to the church a priority and use what banks already offer! 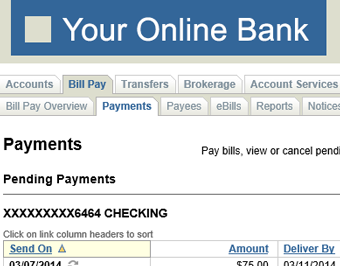 Online banking with your bank keeps you in control of your giving!